There is no pain in the world quite like losing a loved one. The pain and suffering can take years to heal and when it does that loved one will never be forgotten. At Martin Walker Law we want to help you in your time of need get the justice your loved one deserves. We know the pain can be amplified knowing that it was caused by the actions of a reckless or negligent person. We are here to remind East Texans that if you have lost a loved one due to an accident caused by another party, you could very well be entitled to compensation. We know that no amount of money or compensation can replace the one you lost, but it can help to give you closure, and maybe even prevent similar events for others. Seeking the help of professional and experienced wrongful death attorneys can make a difference in your life and bring the closure that you deserve after your loss. 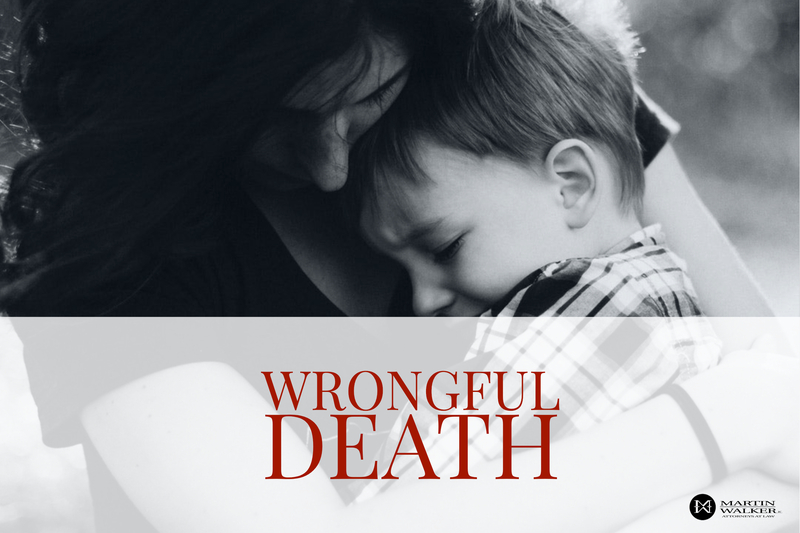 In order to get the justice you deserve in this situation, it’s important to understand Texas wrongful death laws. In Texas, three categories of individuals are able to file claims of wrongful death, according to the Wrongful Death Act. Keep in mind the compensatory damages Texas law recognizes people are entitled to. A driver of an 18-wheeler is on drugs and managed to pass out and drive into oncoming traffic. If he hits and injures another driver badly. That person has a personal injury claim, but if he dies his family has a wrongful death claim. A woman dies from taking a defective drug for her diabetes. Her family has a wrongful death claim. Also, keep in mind situations that would not allow for a wrongful death claim. An example is if a child with a heart condition is treated by a doctor, and the child ends up dying despite the best efforts of the doctor.